You may be enrolled in Medicare or thinking of switching to Medicare Advantage (also known as Part C) Either way, there are a number of insurers out there claiming to offer the best deal on Medicare Advantage (MA) Plans. These insurers offer Medicare Advantage to anyone who is already enrolled in Original Medicare (Part A and Part B). MA plans cover Original Medicare’s services. And, they may offer additional services, such as dental, vision, hearing, wellness and prescription drug coverage. While each plan varies, you typically can pick and choose the services that you want by comparing different plans. The following are some of the major U.S. health insurance companies currently offering Medicare Advantage plans. These insurers were chosen because they were in the top 10 list of American health insurance companies. They also have the largest variety of plans to offer individuals and families. Each carrier provides a selection of Medicare Part C plans, as well as relevant information, on their websites, as well. Aetna creates clear cut Medicare Advantage plans. They offer the same coverage as Original Medicare, including hospital insurance (Part A) and medical insurance (Part B). Plans also include free fitness facility memberships, annual wellness visit and vision and hearing exams. Aetna Medicare Advantage with Part D: Both health maintenance organizations (HMO) and preferred provider organizations (PPO) plans are available through this plan. All plans include prescription drug coverage (Part D). Aetna Medicare Advantage: These plans have a lower premium and don’t have prescription drug coverage. They are available as HMO plans. As a major health insurance company, they have tens of thousands of approved facilities and doctors nationwide in their networks. You can view a list of Aetna network doctors online. Overall, Aetna offers a variety of different Medicare Advantage plans that help low-income individuals. Those who want extras, without extra costs, will benefit, as well. One disadvantage is that BCBS has different plans for each state. So, in one state, you may be able to find more PPO plans for seniors, but not as many plans for those who are disabled. In addition, some states have only PPO plans, such as Michigan. If you are interested in BCBS, it’s best to call them at (888) 630-BLUE (2583) to get the most accurate information. Overall, BCBS does a good job of providing comprehensive coverage with extras. However, their site is a little disorganized. To compare plans online, you’ll have to pick your BCBS state and view their specific plans, since all sites are operated separately. This means that your coverage is localized. Agents may be more helpful for in-state residents. But it’s a bit cumbersome trying to find standard coverage benefits. You can also view all of their Medicare Advantage plans offered by state. Cigna makes it really easy to find a Medicare Advantage plan and compare plans. Their MA plans offer medical and drug coverage. There are several plans to choose from, like the Cigna HealthSpring Medicare Advantage or Cigna Medicare Select Plus Rx Plans. These plans have several benefits. Cigna allows you to find Medicare Advantage plans, based on your state. You can select your state and county in the Cigna Medicare plan finder. It will offer different plans, based on your location. Some areas have more plans than others. Cigna offers comprehensive coverage for most states. They have a large network and make it easy to find different plans, based on your state. If you don’t want MA plans, they also have stand-alone Medicare Part D plans. Humana does a great job of supplying every type of Medicare Part C plan, including HMOs, PPOs and PFFS plans. Each has separate benefits and varies in availability, based on where you live. But the site is set up with a simple-to-use tool to find plans based on your area. The benefits of each plan are highlighted, as well. Humana Gold Plus is an HMO that covers annual screenings at no cost. It has predictable copays that will make it cheaper on your budget. The HumanaChoice PPO allows you to get referral-free visits to any doctor nationwide. And, you can choose any doctor or hospital to receive medical care. Humana has a ton of different plans and really does a great job of providing plans. You can view all of their plans online in a simple fashion. And, you can compare plans. If you don’t want MA plans, you can also get stand-alone Medicare Part D plans. UnitedHealthcare has a few different plans for those who are eligible for Medicare Advantage. Optional benefits for plans offer prescription drug coverage, and vision, dental and chiropractic coverage. UnitedHealthcare has several types of plans, including HMOs and regional and national PPOs. There are over 150 standard Medicare Advantage plans that combine with prescription drug coverage, as well. Unfortunately you can’t view any of these easily online. However, they do have a general breakdown of what they offer for Medicare Advantage. 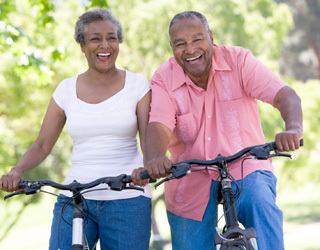 Some plans are offered through AARP, while others go directly through UnitedHealthcare. Benefits specific to UnitedHealthcare plans aren’t available online. Overall, the best health insurance companies offering Medicare Advantage today give you a range of option. And, they make it easier to pick low-cost plans, while offering some extra services, as well. Humana has a lot of different plans and breaks it down easily online. This allows you to pick and choose plans that go along with your health needs. MedicarePartC.com also gives you ways to compare all plans easily online. Or, you can call our toll-free number, (800) MEDICARE (633-4227), and speak with a healthcare professional right now. You may also want to click on HealthNetwork.com. Here, you’ll find a variety of Medicare Advantage Plans to consider.